Do institutions need to obtain consent from students before collecting and using data about their online learning activities? Should learners be allowed to opt out of having data collected about them? Could showing students predictions about their likelihood of academic success have a negative effect on their motivation and make them more likely to drop out? 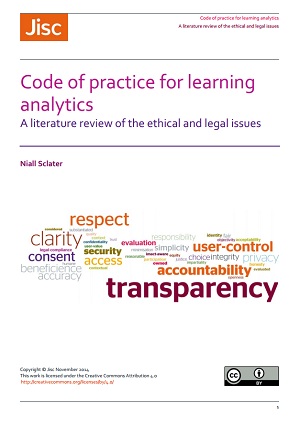 These are some of the questions addressed in a new report which is released today by Jisc: Code of practice for learning analytics: A literature review of the ethical and legal issues. 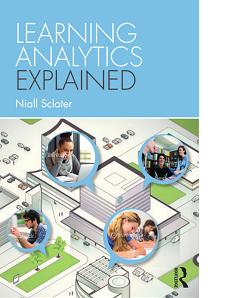 The aim of the review is to provide the groundwork for a code of practice which is intended to help institutions solve the complex issues raised by learning analytics. Expressing issues as questions can be a useful way of making some of the complexities more concrete. I’ve incorporated 93 questions from the literature that authors had posed directly. The categorisations of these highlighted in the word cloud below give an instant flavour of the main concerns around the implementation of learning analytics being raised by researchers and practitioners. 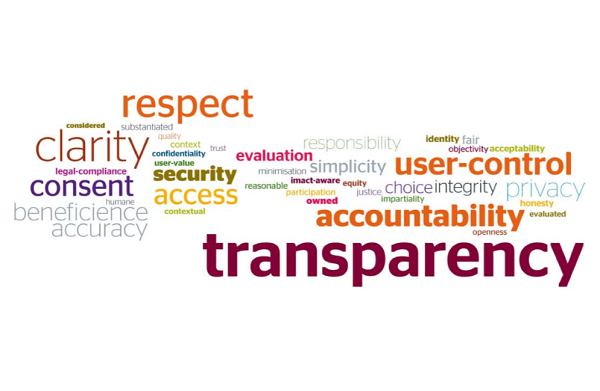 At the end of the report I reviewed 16 codes of practice or lists of ethical principles from related fields and found the main concepts people wish to embody are transparency, clarity, respect, user control, consent, access and accountability. I’ve attempted to be comprehensive but I challenge you to spot any relevant legal or ethical issues I’ve missed in the report – please let us know in the comments below if you find any. The next task is to put together an expert group to advise on the development of the code of practice … and to begin drafting the document itself.